Summit Media, the publishing company that operates Entrepreneur.com.ph, has bagged two important awards from the Spark Awards for Media Excellence, which was recently held in Singapore. This comes as another affirmation of the firm’s excellence in producing ad content. Summit Media, a leading multi-platform content provider in the Philippines, won in two categories at the Spark Awards for Media Excellence held at the Westin Hotel in Singapore last August 28. Summit Media Creative Solutions won silver in the Best Creative Team category, in league with Singapore's theAsianparent.com which won gold, and GMA Marketing and Productions which bagged the bronze trophy. Creative Solutions is Summit Media's in-house creative team dedicated to providing integrated solutions to Summit's clients. Summit Media also brought home the bronze trophy for Best Media Solution – Print for the '30 Beyond Beautiful Filipinas' campaign in partnership with Cream Silk Philippines. The campaign was published in Cosmopolitan and Preview magazines and websites from March to May 2014. 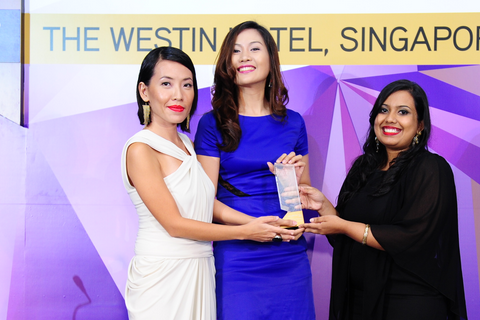 Malaysia's The New Straight Times won gold, while Ink Global Singapore took home the silver trophy. “This has always been our winning recipe in producing the best advertising content: advertiser product message, plus reader benefits, plus international creative standard,” says Florence Bienvenido, Summit Media's Group Advertising Director. Summit Media, which began in the magazine publishing business in 1995, has evolved in the last two decades into a multimedia organization with a portfolio that includes the country's biggest brands in print, digital, and events. 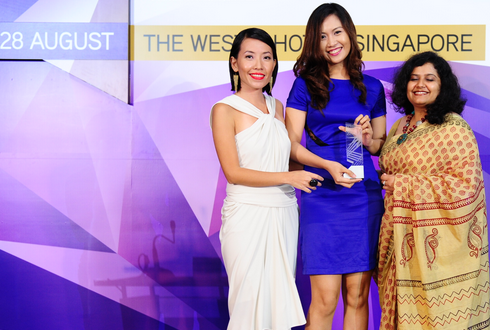 Spark Awards for Media Excellence was the inaugural awards for media owners in South East Asia, and was launched by Marketing magazine to celebrate best practices in media solutions, products, and services. It is a premier platform for media owners in every vertical to showcase their innovation, effectiveness, and value proposition to advertisers, agencies, and clients. In photos: Summit Media's Annie Santos, Key Account Specialist, and Iza Santos, Creative Solutions Head, receiving the Spark silver trophy for BEST CREATIVE TEAM from Marketing Magazine Editor Rayana Pandey. Summit Media's Annie Santos, Key Account Specialist, and Iza Santos, Creative Solutions Head, receiving the Spark bronze trophy for BEST MEDIA SOLUTION - PRINT for the '30 Beyond Beautiful Filipinas' campaign in partnership with Cream Silk Philippines.